Imparts a slight earthy funk and tart character to the beer. 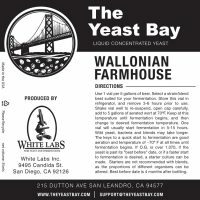 Isolated from a unique farmhouse-style ale that hails from the Walloon region of Belgium, this yeast is one of the funkier “clean” yeast we have in our stable. It imparts a slight earthy funk and tart character to the beer, and is a very mild producer of some slightly spicy and mildly smokey flavour compounds. This yeast exhibits absurdly high attenuation, resulting in a practically bone-dry beer. If desired, we recommend controlling the dryness by adjusting the mash temperature or adding malts or adjuncts to the mash tun that will lend some body and residual sweetness to the beer. When fermented cool this yeast will provide a cleaner profile, and the character development will increase proportionally with increasing fermentation temperature. 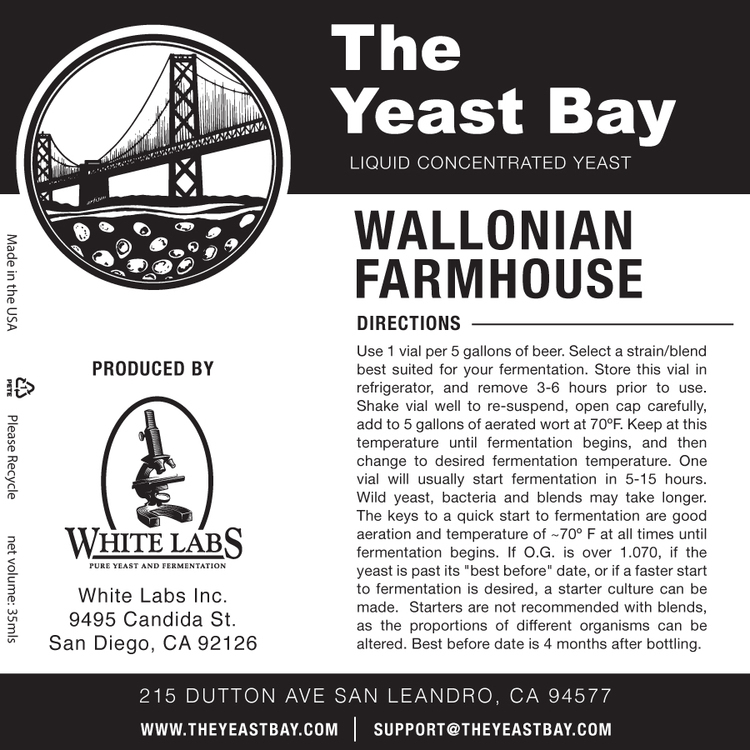 Use this yeast for any farmhouse style or experimental Belgian ale.